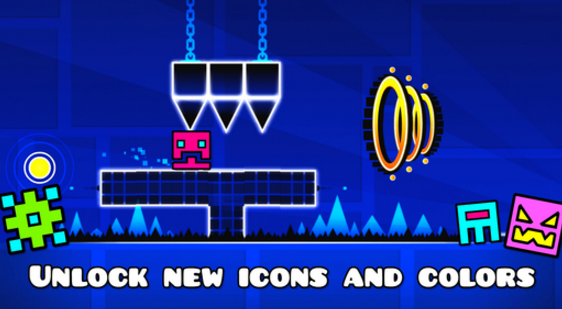 Geometry Dash is a rhythm-based action platform game that is available on iOS and Android. This game was just updated back in January 2017, and there are a lot of new features to be found on the hit mobile game. 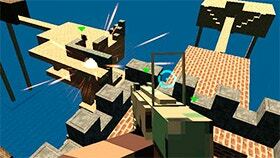 In this game, you have to jump, fly, flip, and more in order to get through the obstacles and beat the levels. Speaking of levels, in the new Geometry Dash update we see a new level called Fingerdash. There is also a Spider game mode in the update along with new rewards and quests. 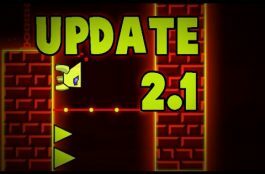 There are bug fixes, new art, daily levels, and new rewards as well in the Geometry Dash update. 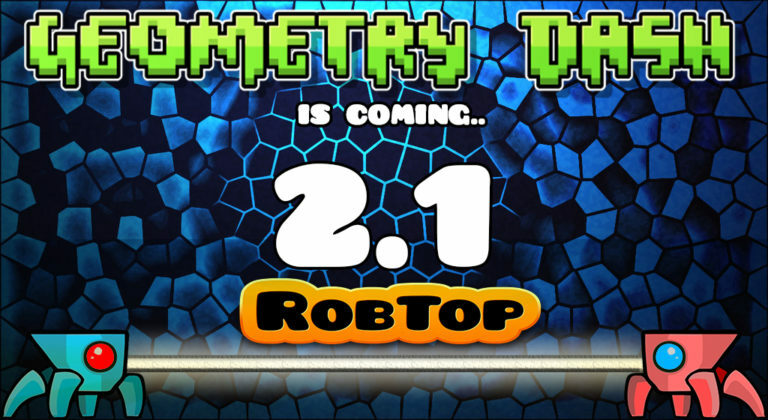 The new version of Geometry Dash is version 2.1, and this version is available right now on both iOS and Android. 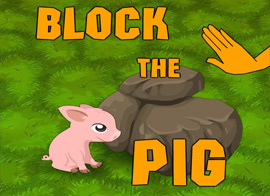 If you are interested in playing this really addictive challenging game, then read on to also learn about some tips for the game. Try to Avoid Spikes– When it comes to Geometry Dash, one of the biggest tips we can give you is to always try to avoid the spikes. These spikes might stop you from moving forward with your cube. If you end up hitting a spike in Geometry Dash, you will have to start over from the beginning. 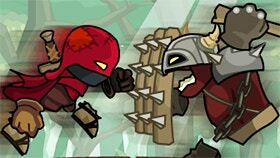 You will learn quickly how to avoid the spikes, although it might take a few times to get your reflexes down. Always Get Boosters- If you want to progress through the levels in Geometry Dash, you really want to try to get the Boosters as often as possible. The Boosters are easily found in this game. Some boosters will allow your cube to fly higher as well as other that help you bounce. Always try to find the boosters and use them because they will help you through the challenging levels. Since Geometry Dash is one of the more challenging iOS and Android games out there, you will be shocked to find out just how much the boosters will help you, even at the beginning of the game. Always Hold Your Finger Down– If you are going through consecutive platforms, you want to make sure that you always keep your finger down on your iOS or Android device screen. This will allow you to move your cube forward, as if you let up on your finger, the cube will stop going into motion. The consecutive challenges are really where you need to keep your finger down, but remember to let up on the screen if you see those spikes or else you will end up having to start over. Turn Off the Music– While Geometry Dash might have a really good soundtrack, it can be distracting. If you are having troubles beating a level or getting through a Quest, then turn the music off. Some people also will try to see a pattern from within the music and then think this pattern should be found within the level. While sometimes the music goes with the level you are on, it can be a trick and end up causing you to look for something that is not there. Some people also just work better in silence as opposed to the music blaring from your device. Practice Mode is Helpful- Even if you normally do not like to go through Practice Modes in games; you really should in Geometry Dash. The Practice Mode will really help you because you will be able to memorize levels and also get to know the checkpoints. The checkpoints are important because it can keep you from having to start the level completely over. The issue with the checkpoints though, is that they might appear very quickly in the game and you might miss it. Going into Practice Mode allows you to get a feel for when you might find a checkpoint and get to know the overall feel of the game. There are still spikes in the Practice Mode, so you have to be careful not to hit them. Do Quests from Settings Menu– You also should pay attention to the Settings Menu in Geometry Dash and do the Quests you see pop up there. This is because you will be able to unlock more colors if you complete these Quests that are in the Settings menu. For some people, colors are not that important, but it is always cool to unlock those colors just so you have more options. Finish New Levels– If you finish new levels in Geometry Dash, you also will be able to earn new colors. 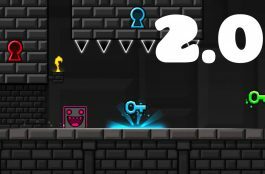 The more new levels you complete in the game, the more colors will be unlocked. You also can earn free diamonds by completing these new levels as well. It is always a good idea to complete the new levels when you see them because you can earn quite a few rewards by completing these levels and this will just help you obtain boosters and other items. Geometry Dash: what stages are perfect? Obviously you need to appreciate this astonishing diversion on your telephone, your tablet and even on your PC, however is it perfect? Try not to stress! 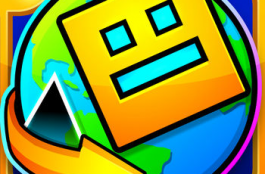 Geometry Dash is a multi-stage diversion perfect with a considerable measure of stages like Android, iOS, Windows Phone, OS X and Microsoft Windows. Would you like to download it? Get it from Google Play, the App Store, Windows App Store, Amazon Store or Steam! Geometry Dash: how can it work? Perhaps you’re as of now a specialist playing this energizing diversion, however in any case we’re going to clarify how it functions. To play Geometry Dash you just need to tap on the screen with a specific end goal to maintain a strategic distance from every one of the impediments of this two measurements amusement. This appears to be simple, isn’t that right? In any case, it’s not generally that simple! Beat and suspicion to challenges at the forefront of your thoughts as the key focuses! Aside from this interesting application, you can likewise download the level editorial manager and make your own levels. Shouldn’t something be said about imparting them to whatever is left of the group? Astonishing! Do you like the music of Geometry Dash? As you may know, music is an awesome device keeping in mind the end goal to recall the diverse strides of the amusement. Might you want to have it and appreciate it at whatever point you need? 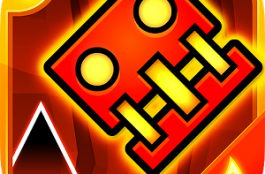 Geometry Dash MP3 are additionally accessible! Geometry Dash is an extremely prevalent experience diversion between cell phones and its a standout amongst the most played by gamers right now, even in cell phones or tablets. A large portion of the stages permit to download and play Geometry Dash Lite for nothing, so in that way you can appreciate this application amusement which is at present exceptionally mainstream. 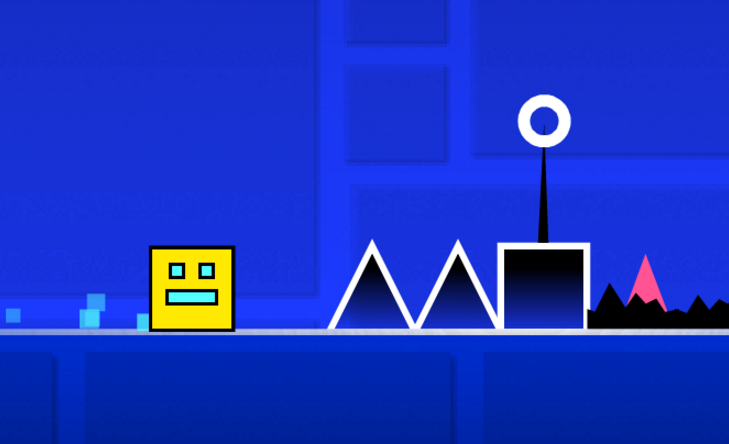 The amusement known as Geometry Dash has two renditions for each working framework: iOS and Android and, one of which is free, called Geometry Dash Lite, which is restricted as it is made out of few levels and couple of objectives to achieve, what urges clients to access to the premium variant of the diversion and in light of the fact that it has more levels and more objectives and gamers will appreciate more the diversion and its expense is low. 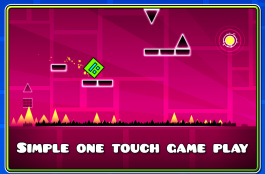 To play Geometry Dash we simply have to use our finger on the touch screen of your mobile device in order to advance the main character (the square with eyes and smiling face) and avoid touching, rubbing and colliding with other objects that we are on the screen to exceed the level with the highest score and skill possible. 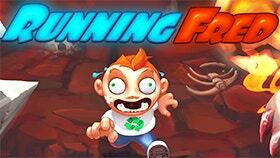 This game is available for Iphone. It is a completely a Free game and you can download it on itunes section of your iPhone. 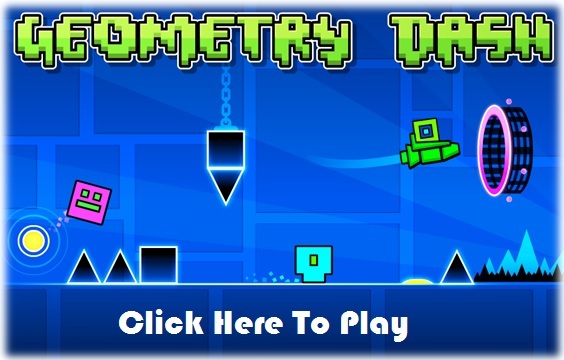 Once you have selected “Geometry Dash” you have to hit the button “Download” and you take a couple of minutes to do so. When you have downloaded and saved the game in your iPhone you must then click on “Install” to complete the full instalattion of the game. Finally when you have installed it and you are ready to start enjoying this game with overwhelming but simplicity does not therefore mean that the game itself is simple and that will make you spend nice moments and having to think more than usual as you go advancing. Remember that if you do not already have Geometry Dash on your Iphone you are losing you hours of guaranteed fun, so do not think more and get it! 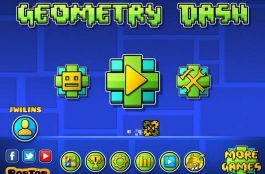 You can purchase the full Geometry Dash Online for not exactly a dollar, so that way you can appreciate this diversion without publicizing and totally. The second and last thing to do is get Android emulator for Windows, we recommend using BlueStacks App Player, which work effectively and its one of the most recommended and currently known free emulators, which offers an easy interface to manipulate, something that will be of great help to flush Geometry Dash on a PC. Geometry Dash Neon world is an appealing endless racing sport. This game has unique images, suitable for many ages, particularly children and families. 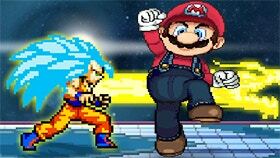 You can experience this game on your own browser as it is just a flash video game. Within this game, you may get a handle on a square monster. Your task would be to pass The barriers in route and run as far as possible. The longer you conduct, the more things you will have. The process for you in this game is how that the spikes. Should you strike spikes, You lose immediately. This game has 20 levels, each level is difficult for you. You’re able to amass the celebrities on the way. Attempt to amass 50 stars to complete each degree. The creature will automatically operate and you will click to make it Jump. So you need to pay attention to the distance between creatures and spikes. The further you run, the harder the match will likely be.